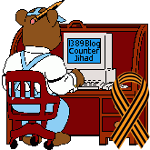 Ten years since March pogrom against Serbs in Kosovo and Metohija — 1389 Blog - Counterjihad! March 17, 2014: It is ten years today since a pogrom was committed against Serbs in Kosovo-Metohija (KiM) and its order-givers and organizers from Albanian political and paramilitary structures have still remained unnamed and unpunished. This was the second major pogrom to be carried out in peacetime by ethnic Albanian separatists since NATO’s bombing, when the province became an international protectorate administered by the United Nations (UN). In June 1999, more than 250,000 Serbs, Roma and other non-Albanians were expelled from the territory in the presence of international forces. In the wave of ethnic Albanian violence that broke out on March 17, 2004, a total of ten Serbs were killed and two went missing, and 11 Albanians died in clashes with members of international forces. In only three days, 954 people were injured, including 143 Serbs and dozens of members of international forces who clashed with the Albanians in an attempt to protect the Serbs and their property. The attack left 72 UN vehicles damaged. A total of 4,012 Serbs were expelled, six towns and nine villages were ethnically cleansed, and 935 Serb houses and 10 community facilities – schools, health centers, and post offices – were destroyed, burnt down or heavily damaged. The religious and architectural heritage of the Serb people was a special target for the ethnic Albanians, resulting in 35 churches and monasteries, including 18 cultural monuments, being destroyed or burnt down. Devic Monastery near Srbica and the dormitories of the Monastery of the Holy Archangels near Prizren were flattened; Our Lady of Ljevis Cathedral from the 12th century and the Church of St George from the 16th century were burned down, and on the vault of the latter the ethnic Albanians wrote: Death for Serbs. The Serb Orthodox Theological School in Prizren and the seat of the Diocese of Raska and Prizren were destroyed. Serb cemeteries were desecrated, including the marble tomb of St. Joanikije of Devic in Devic Monastery and the one of Emperor Dusan in the Monastery of the Holy Archangels. More than 10,000 valuable frescoes, icons, chalices, vestments and other church relics, together with registries of baptisms, marriages and deaths, which testified to a centuries-long Serb presence in the province, disappeared or were damaged. The pogrom was triggered by a campaign waged by Albanian media stating that a number of Kosovo Serbs and their dogs chased six Albanian boys from the village of Cabar near Zubin Potok across the Ibar River and three of the boys died in the incident. The investigation into the claims carried out by the UNMIK police established that the Albanian charges were false and spokesman for the international police Neridz Sing stated that after the incident, the surviving boys were fiercely pressured by Albanian reporters and politicians into pressing accusations against Serbs from the nearby village. Albanian extremists first staged protests in southern Kosovska Mitrovica, and at dusk, they launched an armed attack on the Serbs in the northern part of the city, where KFOR soldiers had to intervene. In a cloud of tear gas and smoke, an Albanian sniper was shooting from a skyscraper, killing the first two victims – Borivoje Spasojevic (53) and Jana Tucev (36) – and severely wounding a KFOR soldier before the international forces’ special team managed to get him down. Violence and attacks spread to the south, to the village of Caglavica and other dwellings in the Pristina area, and Serb villages and cities across the province, such as Lipljan, Gnjilane, Urosevac, Djakovica and Prizren. The clashes continued into the next day, March 18, when Serbs were forced to abandon Kosovo Polje, Obilic, Plemetina near Vucitrn, Svinjare near Kosovska Mitrovica, and fire was set to all the 28 houses of Serb returnees and the village hall in Bijelo Polje near Pec. Small groups of Serbs sought shelter in KFOR bases, while others took refuge in safer Serb enclaves. A very small number of them decided to return and around 250 Serbs fled to central Serbia. Protests broke out in several cities, mosques were put to flames in Nis and Belgrade and 17 civilians and police officers were injured in the unrests in the Serbian capital. Representatives of the international community stated that the ethnically motivated violence against Serbs in KiM was pre-planned and carried out accordingly but it turned out that over 20.000 members of international forces were not ready, or were not willing, to prevent it. According to data from the Serbian intelligence sources, Ramus Haradinaj, one of the commanders of the terrorist Kosovo Liberation Army (KLA), whom the ICTY acquitted of all charges for crimes against Serbs, pulled the strings of the March pogrom. Samedin Dzezairi, also known as Commander Hodza, had a key role in the attacks on the Serbs in Prizren, Urosevac and Orahovac. He was an Islamic terrorist who arrived in KiM to set up a branch of the “Party of Allah” – Hezbollah. After the pogrom of Serbs, the authorities arrested 270 Albanians and verdicts were reached against 143 individuals, 67 of whom were sent to prison while most of others were only made to pay fines. However, the key players, those from political structures and the former KLA, were not among them. The terror by Albanian separatists was formally condemned by the UN Security Council and European officials, and the Parliamentary Assembly of the Council of Europe condemned it through a resolution adopted on April 29. However, despite the atrocities and ethnic cleansing, the ethnic Albanians did not suffer any political sanctions. On the contrary, backed by the leading western countries, in February 2008, they unilaterally declared Kosovo an independent state, a move not accepted or recognized by the Serbian authorities.